Rolling With the Punches is a joy. It’s one of those books you simply won’t want to put down. It’s witty, it’s poignant, it’s touching. While it’s about a man coming to terms with himself and his sexuality (attempting to self-medicate with drugs and alcohol), it’s not strewn with gratuitous war stories of promiscuity and overdoses. It’s tasteful and honest. From Joey’s early days of escaping into a fantasy world of movies and music (his infatuation with Judy Garland, Barbra Streisand, and Doris Day is delightful), you will have a soft spot for him. He’s a good kid — a good guy — deep down. He’s just a scared and confused individual who wants to feel normal, who wants to be accepted, who wants to be loved. The beauty of Rolling With the Punches is the realness of the characters, the dialogue, and, most important, Joey’s life journey. This is a bittersweet coming of age tale while there are not many bright spots along the way, Joey sure will make you laugh at every step. 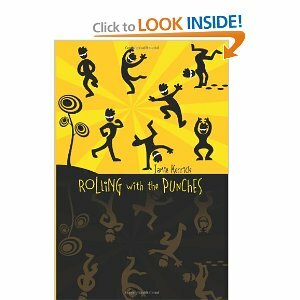 Jamie Kerrick hit a home run with Rolling With the Punches, quite an accomplishment for his debut novel. I look forward to more!